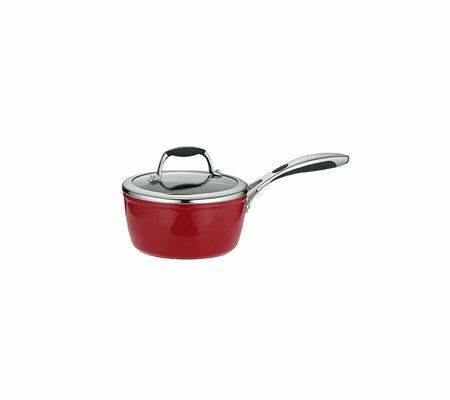 Fry up a fulfilling feast in this 1.5-quart covered saute pan from Tramontina. Its technologically advanced design allows a double-thick bottom that radiates even heat across the base and up the sidewalls to the reinforced rims. The vented cast stainless steel handle features a soft silicone grip for an easy hold and added beauty. Get a glimpse of what's cooking through the tempered glass lid. An enamel exterior and premium nonstick interior provide quick cleanup and years of trouble-free cooking. Red. Made in Italy.